Stag and hen parties, or 'sten' parties, are a relatively new idea; however, they're becoming increasingly popular with couples that want to break free of tradition and choose something out of the ordinary that can be enjoyed together, along with close friends, rather than separately. There a few reasons while joint stag and hen parties are rising in popularity. Sten parties are free of worry, meaning the other half isn't sitting at home worrying about what the other is getting up to – after all, when you're in the hands of your best friends, anything can happen. Sten parties have other perks, too, including being an affordable choice for couples that don't want to blow too much of their wedding budget on separate stag and hen parties. Also, couples often have the same group of friends and a joint stag and hen party means being together as one whole group. Just like if you were organising separate stag and hen parties, there are an abundance of sten party ideas to choose from, including a few that are best suited to competitive couples of groups. From traditional assault courses and high ropes, such as Go Ape, to inflatable assault courses and even experiences that will resonate with Crystal Maze fans, there are an enormous number of assault course sten party options. Assault courses are an affordable, fun option for a sten party and ideal for couples and friendship groups with a competitive streak. If you're worried that alcohol is missing from this sten party, you can always put together a bar or pub crawl for the evening. If you want a change of scenery while also ensuring your sten party doesn't only last a day or evening, you could opt for a weekend away. In Europe, Barcelona is a particularly popular choice for sten parties, however, if your budget is limited, you could choose something closer to home. Popular sten party destinations in the UK include London, Brighton, Manchester, Bristol, and Cardiff. If you’d like, you could plan separate daytime activities and come together in the evening. You can look up to minibus hire Bristol or minibus hire Cardiff for organisational purpose. There ain't no party like a party bus party. Spend an evening out on the town in one of your favourite cities with a sten party bus party, where the music blares, and the drinks flow until morning. A party bus party is like having your very own nightclub on the move. For your party, map out an itinerary that will take you past our favourite pub, bar, and club haunts as a couple and book a coach hire. What we like to refer to as Quasar for adults with a sting, paintballing is always a fantastically fun choice for joint stag and hen parties. 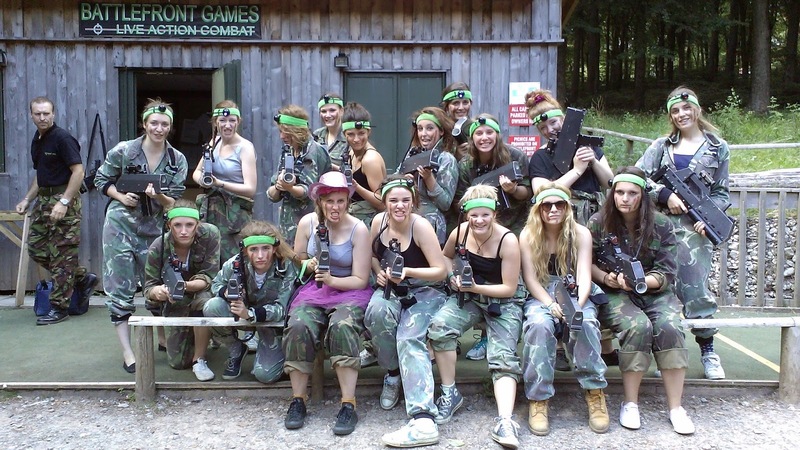 Most paintballing centres are fully equipped to deal with large parties, including sten parties and will offer generous discounts for large groups, especially if you're staying all day, purchasing extras and upgrades and, usually, booking on-site catering, too. Break tradition – choose a joint stag and hen party. Life can be very displeasing especially when we loose the ones we love and cherish so much.My husband abandoned me and my 2 kids for 2 years he said he wanted new adventures.I asked what i had done wrong but he said nothing.He continued paying our bills but moved in with another woman i was so frustrated and some times i will cry all night because i needed my husband by my side. all thanks to DR.BEN, i was nearly loosing hope until i saw an article on how Dr BEN cast a love spell to make lovers come back. There is no harm in trying, i said to my self. i contacted him via email and after 48 hrs my story changed. words will not be enough to appreciate what he has done for me. i have promised to share the testimony as long as i live because he brought back happiness and joy into my life.